Branson Fishing Guide Service a full time Large group or Large Family Fishing Charter in Branson. We are a Pontoon Fishing Guide Service specializing in Large Group Fishing Branson Missouri on Lake Taneycomo and Table Rock Lake. 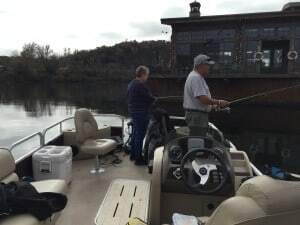 We Guide on Lake Taneycomo for Rainbow and Brown Trout and Table Rock Lake for Large Mouth, Small mouth and Spotted Bass, Crappie, White Bass, Pan Fish, Seasonal Spoonbill in our roomy Pontoon! Large Group Fishing Branson Missouri. Branson Trout Guide will make a Guided trip a snap for your Larger Group Fishing Charter or larger Family Fishing Charter. 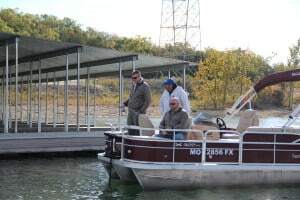 Our Pontoon is made for Large Families and Groups to fish out of while on Table Rock Lake and Lake Taneycomo! Large Group Fishing Branson, Why not fish in comfort? Why not everyone fish in the same boat? Well if you have a Large Group with Branson Fishing Guide Service everyone can go on the Large Group Fishing Charter Trip and spend time catching TOGTHER in the SAME boat with Branson Fishing Guide Service! We are Branson’s only Large Groups Fishing Charter in Branson full time professional pontoon fishing guide service. We specialize in large group and family fishing trips for Rainbow Trout on Lake Taneycomo and Bass Fishing on Table Rock Lake in Branson Missouri. we are the Guide Service in Branson. Let’s talk about what Branson Missouri as to offer in the large group fishing charter department! Lake Taneycomo in downtown Branson offers the best trout fishing you can find in the Midwest for everyone! Lake Taneycomo is a cold water discharge from Table Rock Lake and flows down stream to Bull Shoals Lake. Stocked with Rainbow and Brown Trout by Missouri Department of Conservation or MDC many times during the year will stock this lake with trout of all sizes from the hatchery. Lake Taneycomo has surface temps in the mid to low 40’s the Rainbow Trout just thrive and grow in that type of water. Another great thing about Lake Taneycomo is we can fish all year around, this lake never freezes and no need for long runs to get fishing. We will drift with current or spot fish for certain special areas in the lower downtown areas of Lake Taneycomo that will produced great fishing. We use only the best ultra light spinning rods and reels, some very light tackle and a couple of my secret baits and away we go in the comfort of our large stable and comfortable fishing pontoon! Table Rock Lake offers some of the best seasonal Bass Fishing you can find in the Midwest! Large Populations of Spotted Bass and Small Mouth Bass allow for great fishing trips in the early Spring, Summer and Fall. Spring time jig fishing in April and May then June through October for our Deep Water Bass Fishing season with ton’s of catching from schooling spotted bass or chasing topwater fish in the creeks just one of the many ways to catch fish on the Rock! 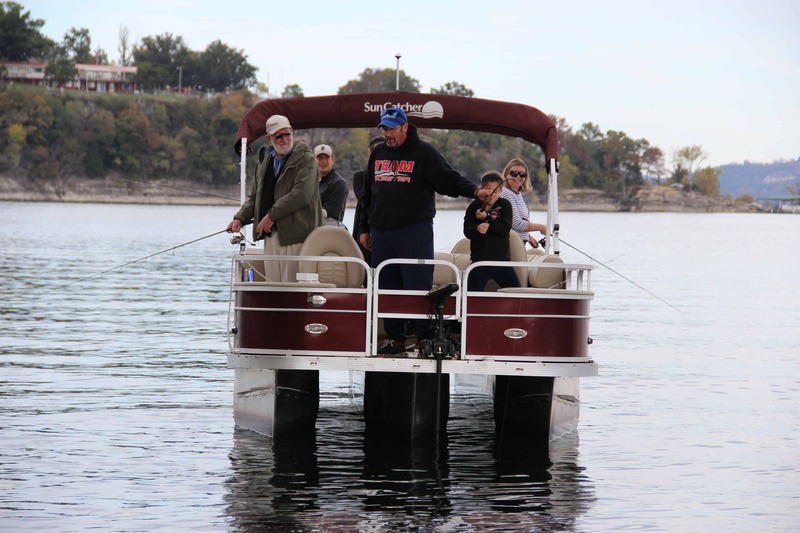 Large Group Fishing Branson, Large families and Corporate Groups are welcome to fish in the comfort of Branson Fishing Guide Service Tri Hull Fishing Pontoon for your fishing enjoyment! Four custom sit down fishing seats, full couch and table, most covered from the sun, plus a sun deck seat for those who like to just hang out! More than just a Pontoon Boat a total tricked out but comfortable fishing machine loaded with all of the state of the art electronics, fishing equipment and tackle needed for that fun day on the water for everyone. Stop by our Rates page and check out to see pricing and all trips offered groups up to 6 persons welcome on our new Pontoon, larger groups please inquire, we can supply more Insured USCG licensed fishing guides and boats.